As soon as you walk in, you feel inspired with all of the raw technology on display. I can’t find a more straight forward way of saying, MIT Media Lab is cool AF. We made a virtual reality simulator named Speakeasy that helps you become a better public speaker by counting the number of times you say words like “ummm” “like” “right” et. and giving you feedback on where your hands should be at all times. Because, you know, everyone, like, hates to sound anxious when they’re giving a presentation or taking a job interivew. Or asking someone out. 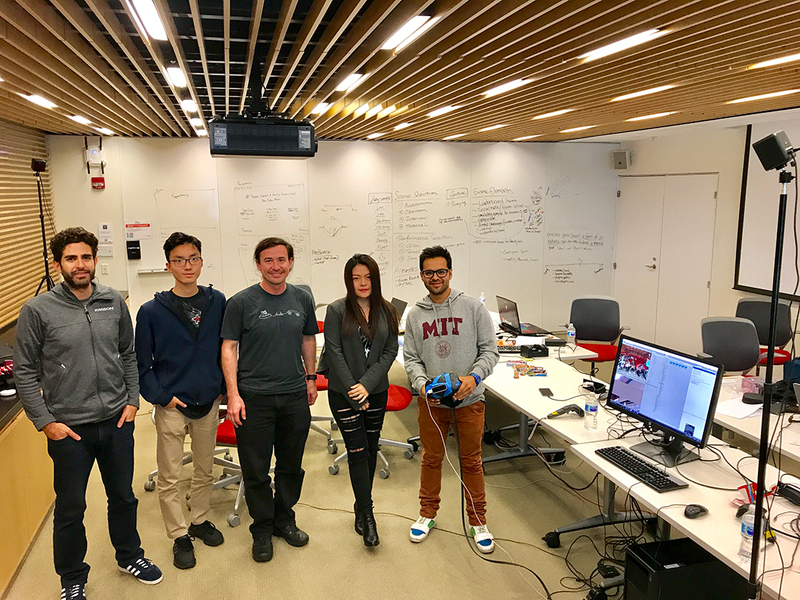 To give users proxemic and verbal performance feedback we integrated interactive 3D hands and interfaces using a leap motion sensor into 360º videos to put you in scenarios like a full MIT Lecture hall, an interview setting, or any situation where you may need to speak effectively. Speakeasy VR will help you become a better speaker. Pro Tip: Having your hands near your groin, brings attention to the area. Our group of five came together over the hope of helping someone with a problem. One of the most necessary reality checks as an entrepreneur, and as a creative professional is to seek to alleviate a problem or create new value. This project can also have a major impact on training social impact leaders. I worked at the Center for Nonprofit Management in Los Angeles, CA. for four years and helped train thousands of leaders championing causes. To get the funding and support, the message must be communicated effectively in order to successfully persuade and call people to action. Next time you feel stuck, or have a big problem to solve, try working in a sprint over the course of a few days. You will at least break through the surface and new opportunities for creative problem solving can emerge. If you need help, give me signal.